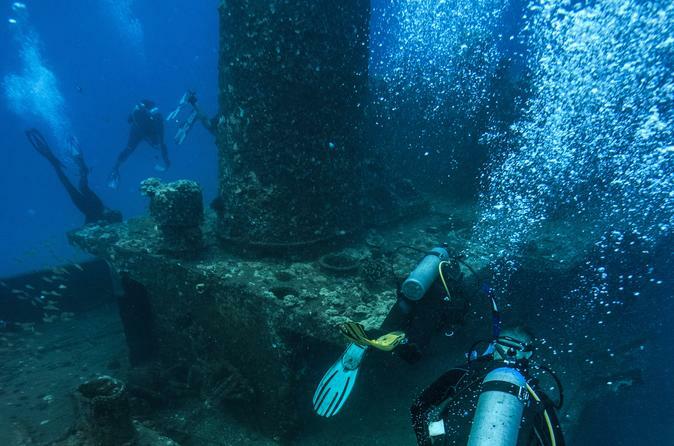 This scuba diving trip heads out for two amazing boat dives. The first dive will be a deep shipwreck at approximately 100ft (30 meters) depth. Our second dive will be at one of our amazing reef sites between 40-60ft (12-18 meters). Swim with Sea Turtles and Schools of Reef Fish in our Beautiful Hawaiian Waters. All groups will be guided through these amazing sites by a dive professions with ratios of no more than 4 divers per staff.